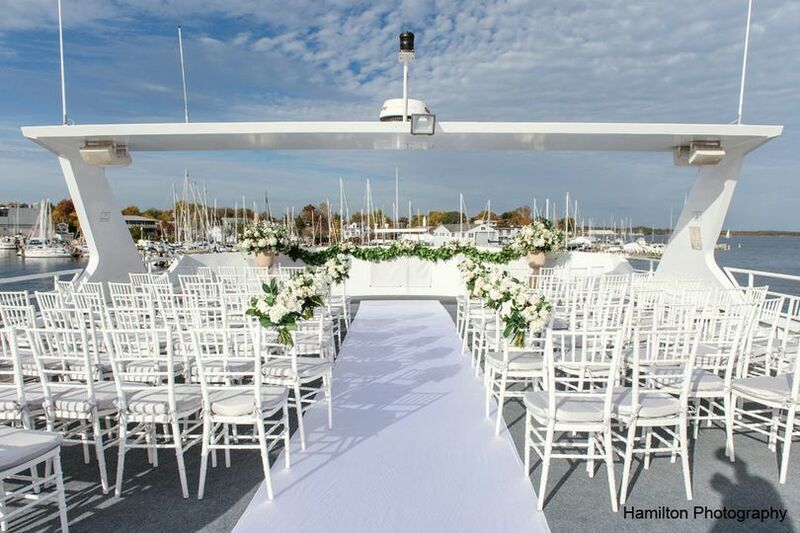 Our luxury yachts offer a stunning and magical setting for weddings, receptions, rehearsal dinners and more. 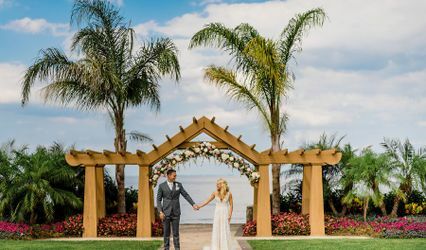 Whether a large affair or intimate gathering is in your plans, our experienced wedding planners will help you make decisions that are right for you. 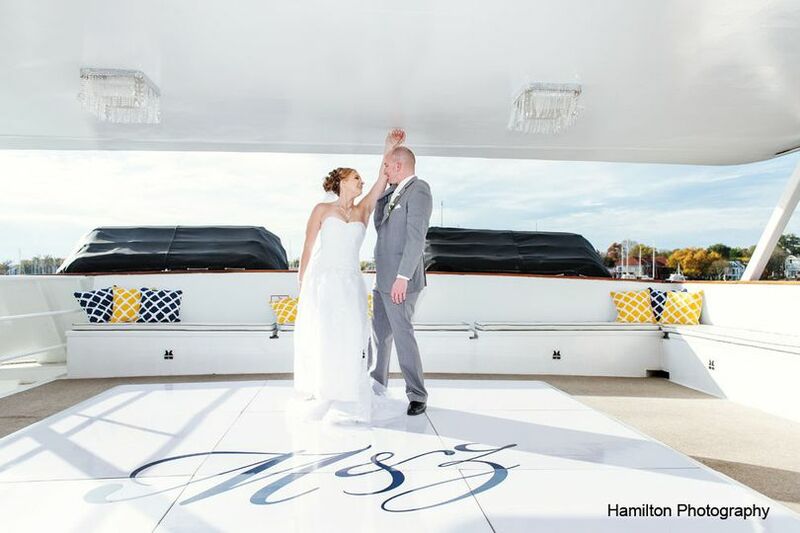 Host your wedding, reception or both aboard our pristine luxury yachts. 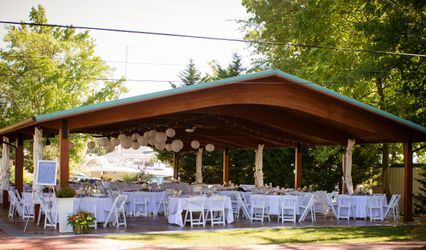 The Chesapeake Bay is your venue when you choose Watermark. 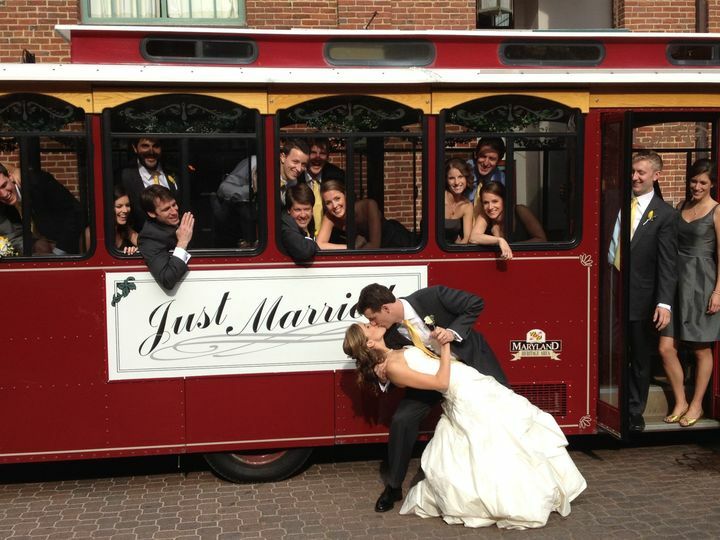 Perfect for brides who want to do something different, elegant and fun. 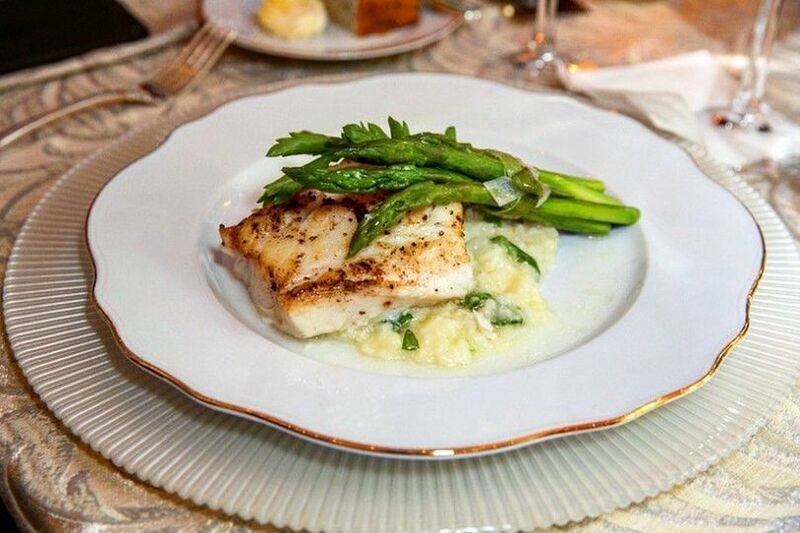 We work with the area's top vendors to ensure the food, entertainment and decor are perfect for your big day. 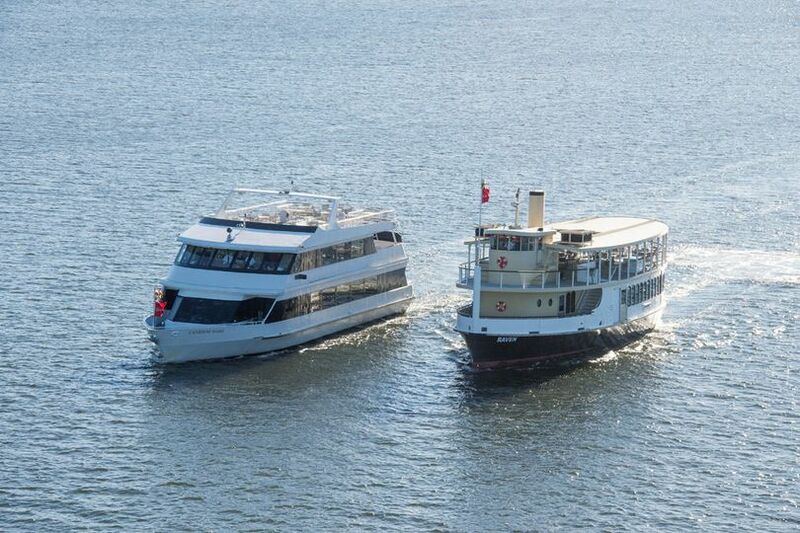 All of our events are custom and you have a choice of yachts to choose from. Contact us to schedule a private viewing. 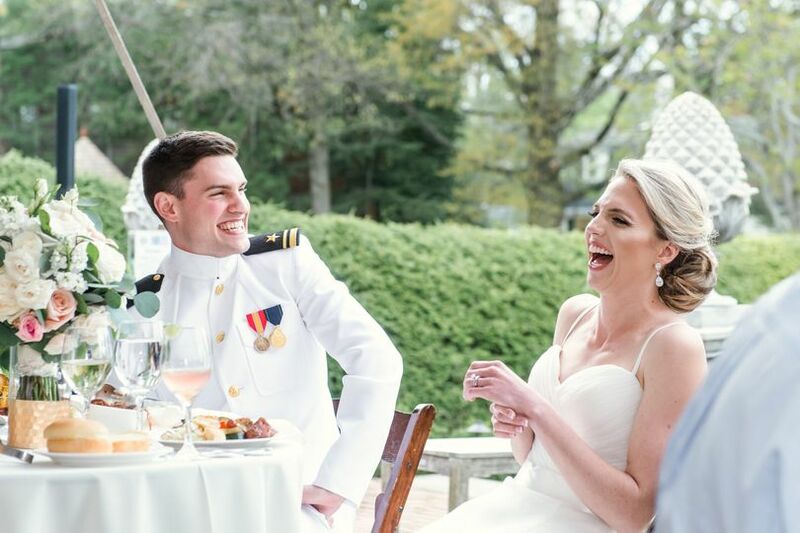 My husband and I had the pleasure of having our wedding reception on the Lady Sarah in April 2018. We couldn’t have been happier to discover Watermark for our ~40 guest, celebration. 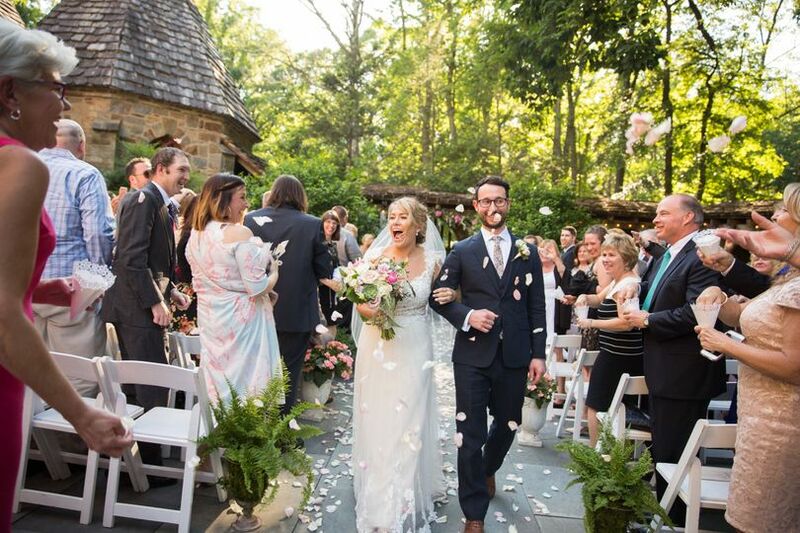 Taylor and the rest of the Watermark staff we worked with were great for helping us create the memorable experience we wanted. 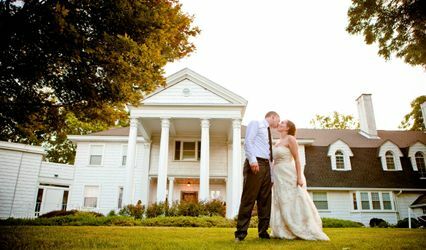 They had a thorough list of vendors to work with which made the planning process easy. We choose to create our own music playlist for the event rather than having a DJ and created our own decorations, but it was nice having options. Taylor assisted with a timeline for the event which worked out perfect. She was also great as a day of coordinator assisting with arranging décor and making sure not only we were taken care of but our guests as well. 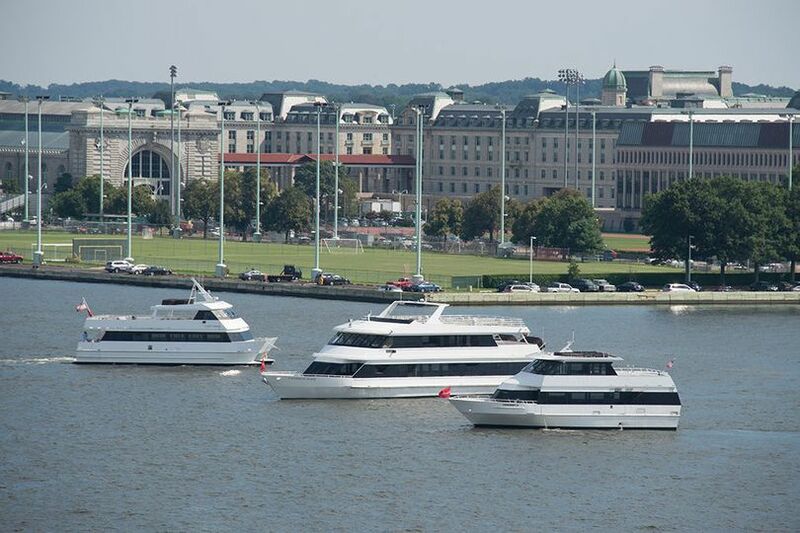 We made a last minute change to cruise up the Severn River due to wind conditions. The crew was wonderful in accommodating this change. 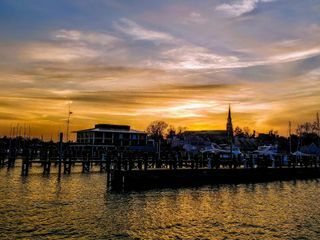 It worked out beautifully because we got an amazing sunset over downtown Annapolis on our return. 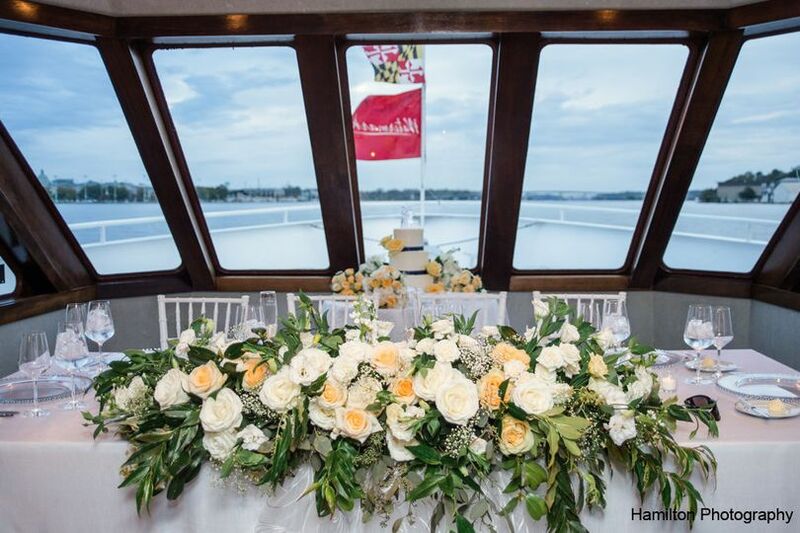 Our guests absolutely loved the scenic views on the Severn River. The Lady Sarah was perfect for a buffet style eating arrangement which worked out great for us. 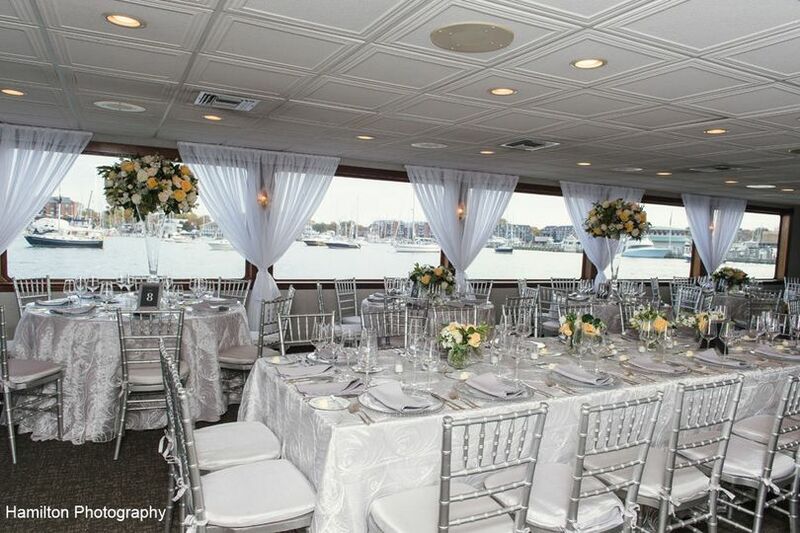 The boat dresses up very nice with linens and décor. We had the ability to make it as casual or fancy as we chose. With its two decks our guests could comfortably eat downstairs in the enclosed level and enjoy some fresh air and sunshine from the top deck. 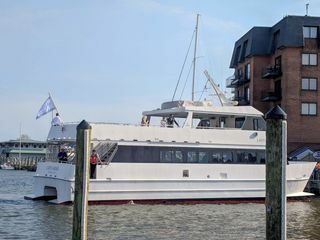 We just loved some of the unique options being on the boat offered (like cruising into City Dock already aboard the boat to meet our guests and and having a personalized boat flag to name just a few). 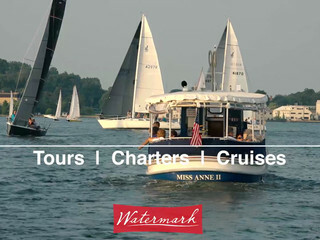 We have since taken other cruises with Watermark and have truly enjoyed each of them. 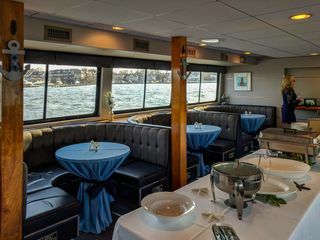 If you are looking for a unique wedding or celebration venue that your friends and family won’t forget, I highly encourage considering a Watermark cruise. We could not be more grateful for how elegant our event turned out to be and Missy Blevins was a huge part of it. Instrumental throughout the entire process, I would highly recommend her for your next event! 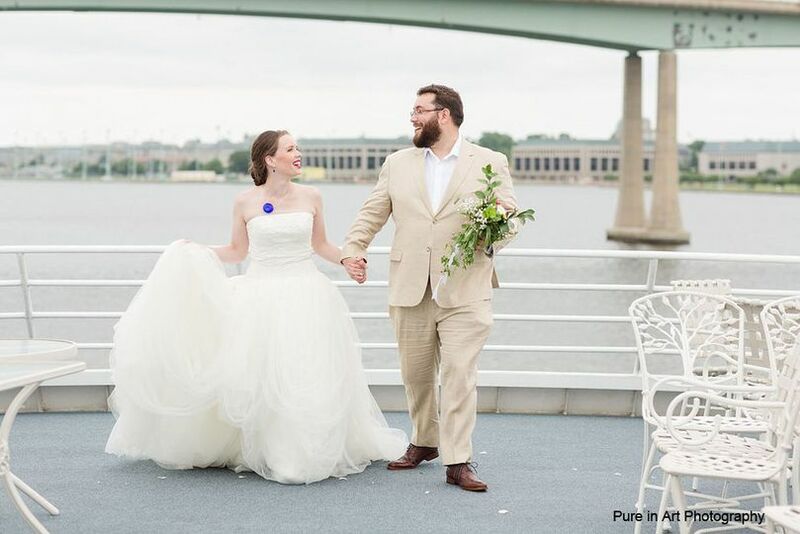 We are so glad that we chose to celebrate our wedding day with Missy Blevins and Watermark. The professionalism of the entire team was second to none. 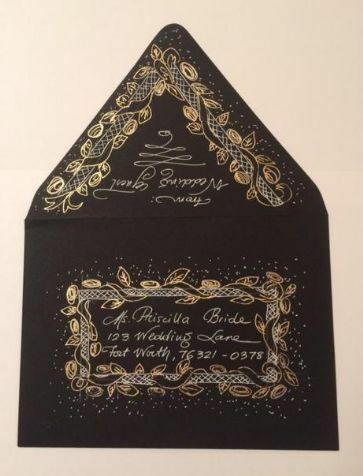 If you want a lot less to stress about on your big day, than make sure you go with Watermark. You won't regret it!! Watermark is an amazing fleet of ships! 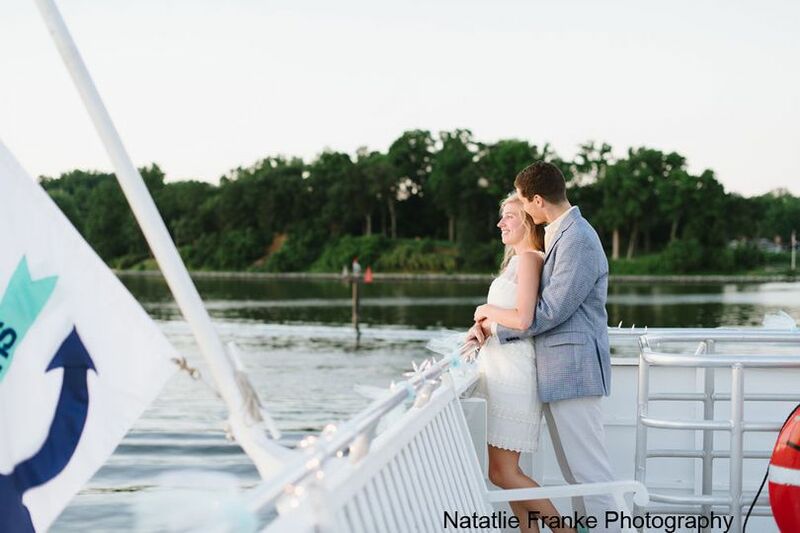 I love photographing weddings on the water and can&apos;t wait to photograph on the boats again!